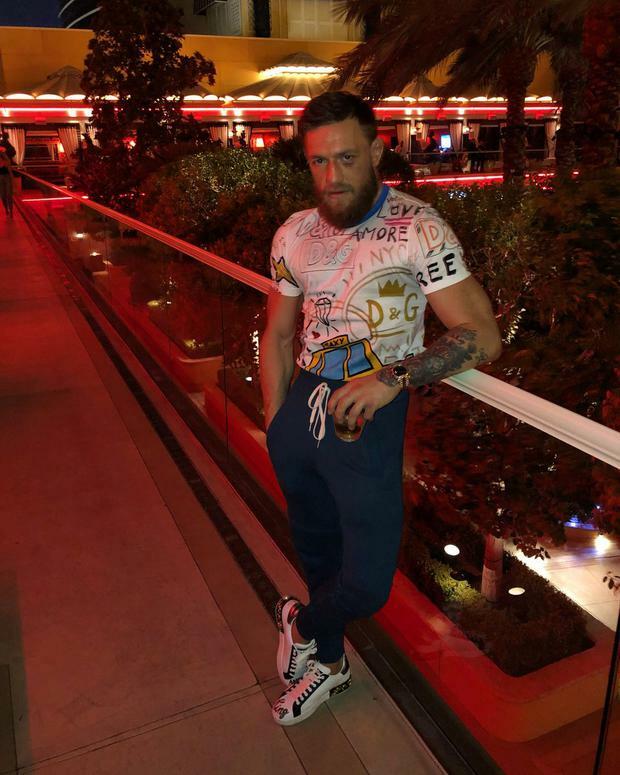 Conor McGregor has claimed he "won the battle" as the bitter fallout from his dramatic fight with Khabib Nurmagomedov continues. The Irishman was defeated after being forced to tap out in the fourth round by the 27-0 Russian. Khabib then climbed the cage and attacked a member of the Irishman's entourage outside sparking a riot in the arena. Nurmagomedov could now be stripped of his lightweight title as a result and McGregor now claims to have "won the battle." "We lost the match but won the battle. The war goes on," he tweeted alongside a picture of him sporting black eye. McGregor suffered only the second defeat of his UFC career after a rear-naked choke in the fourth round but the scenes immediately after turned ugly when Khabib jumped over the Octagon fence to attack McGregor’s training partner and Bellator welterweight Dillon Danis, and while a melee broke out outside the Octagon, three of Khabib’s team jumped into it to attack McGregor – who was still recovering from being choked out. Zubaira Tukhugov, a featherweight with a 3-1 record in the UFC, was one of those involved in the attack on McGregor. Khabib spoke at the post-fight press conference to apologise for his actions, but defended them by claiming they were a result of the provocation from McGregor, who taunted Khabib for his religion, Russian background and insulted his father. Nurmagomedov said that he wants to make MMA a “more respectful sport”, complaining bitterly about McGregor’s behaviour in the weeks ahead of the fight. “I told you guys: his whole team and him, they are tap machines. Today he tapped. Undisputed and undefeated,” he said. UFC president Dana White attempted to pick the bones out of the disgraceful scenes which overshadowed what had been billed as the UFC’s biggest night ever. Then, taking aim at McGregor, he said: “This is not the way we want to celebrate such a dominant performance but when you talk about people’s country, family and religion and intentionally try to kill someone like he said and the cornermen running their mouths after, this is the fight game & s**t happens. “The fans got an amazing fight and a great show. I want to apologize to the Nevada athletic commission, the Governor of Nevada and I want to thank Las Vegas police department and security for doing such an unbelievable job.